“I express my deepest appreciation to the chairman of the council and executives. " Pacific Theological College Principal-Elect Rev. 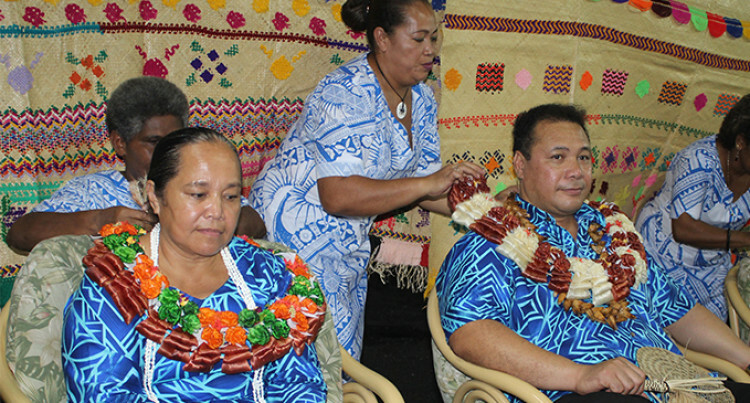 Dr. Upolu Luma Vaai (right) with wife Tuamasaga Vaai following the induction ceremony on February 8, 2019. Photo: Ronald Kumar. After 20 years, the Suva-based Pacific Theological College (PTC) has a new principal. On Friday night, Reverend Upolu Luma Vaai was inducted in a ceremony witnessed by staff, friends and family and the PTC committee. Reverend Vaai, who is married with four children, replaced fellow Samoan Willie Fele Nokise, who held the post for 20 years. Reverend Vaai thanked the PTC family for trusting him with his new role. “I witness tonight the presence of God. This place is colourful in culture, denominations, religion, languages and race,” he said.